Two-thirds of girls aged 13 are afraid of getting fat, a survey has revealed. And around one in ten suffers ‘extreme levels of fear’ about putting on weight – with many resorting to unhealthy habits such as skipping meals. The alarming findings will add to fears over young people’s risk of developing eating disorders. 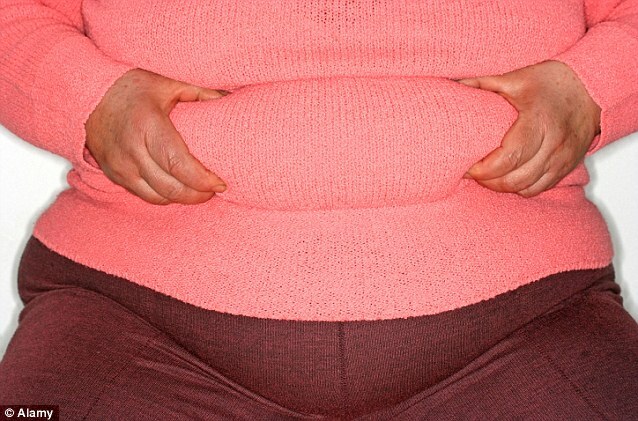 Ironically, extreme weight loss tactics could also be fuelling Britain’s obesity epidemic. The study reveals youngsters who skipped meals or threw away food ended up more at risk of becoming fat. The research, carried out at University College London and the London School of Hygiene and Tropical Medicine, found most young girls had some level of fear about gaining weight. Although they were twice as anxious as boys, experts said their male peers were fast catching up when it came to concerns about body size and shape. The researchers looked at data on 7,000 children aged 13, and compared it with information on the same youngsters at the age of 15. They found two in three girls suffered some level of anxiety. A quarter of girls and one in seven boys had restricted their food intake by fasting, skipping meals or throwing away food. But the study found those who resorted to unhealthy weight-control strategies were most at risk of later piling on the pounds. By the time they reached 15, they were 40 per cent more likely to be overweight. The report, published in the Journal of Adolescent Health, warned that eating problems have an impact on children’s mental health and their social, personal and family life. Lead researcher Dr Nadia Micali, of the National Institute for Health Research, said: ‘We have found that behaviours typical of an eating disorder are more common in early adolescence than previously thought. Despite the levels of anxiety found in the study, it was rare for teenagers to use laxatives and make themselves sick to lose weight, with just 0.23 per cent of girls and 0.16 per cent of boys doing so. But one in 20 youngsters of both sexes was likely to binge eat. Those who did so were 50 per cent more likely to be overweight and at double the risk of being obese at the age of 15. The report is believed to be the first of its kind outside the USA showing that a pattern of eating disorder-type behaviour among young teenagers has damaging consequences for their social, psychological and physical health later in life. Leanne Thorndyke, head of communications, at eating disorders charity Beat, said: ‘It is striking and worrying how many young people had concerns about their weight from such a young age. ‘It does not mean that they will all go on to develop eating disorders but they could be tempted by unhealthy ways to control their weight and shape. ‘It’s important that we help young people understand the pressures they are under and help them to be more resilient.’ She called on GPs to spot those at risk and take steps to help them early when eating disorders were most treatable. Leading doctors estimate that between five and 10 per cent of adolescents have an eating disorder, costing the NHS an estimated £48million to £60million per year. One in 500 girls aged 15 to 19 is likely to be diagnosed with an eating disorder every year, with girls and even boys as young as 10 increasingly being affected.